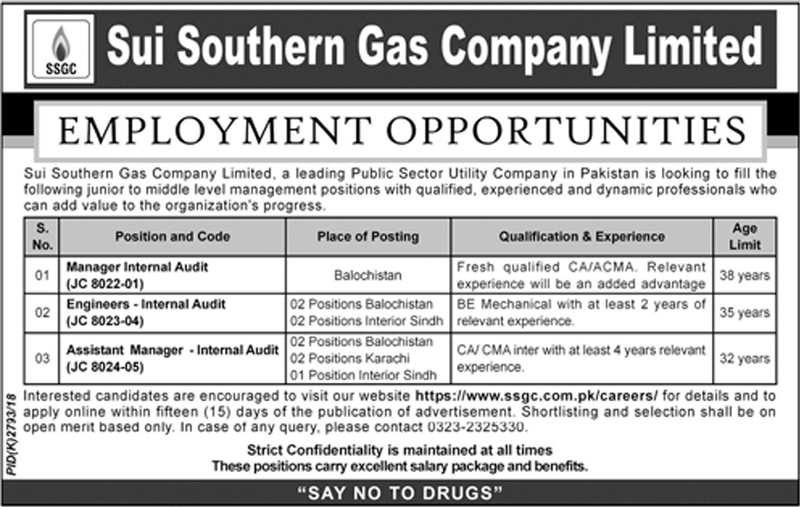 If you live in Balochistan and looking for jobs in the Sui Southern Gas Company department, I will tell you about a great job. 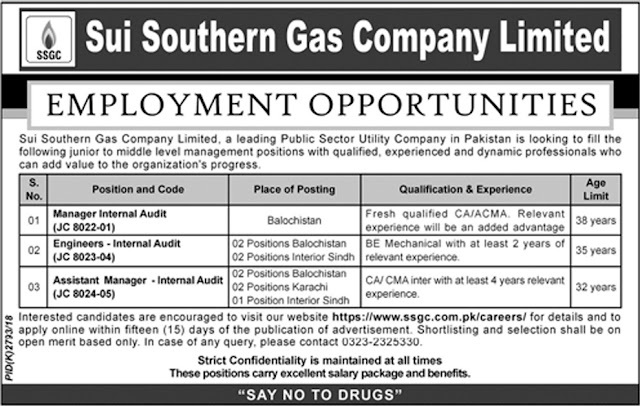 Many good jobs in the Sui Southern Gas Company Limited have been announced by the Balochistan court to provide you with all the job information. Sui Southern Gas company limited a leading public sector utility company in Pakistan is looking to fill the following junior to middle-level management positions with qualified, experienced and dynamic professionals who can add value to the organization progress. In this job all Baloch people are eligible to apply, men and women can also apply. You have any questions so you can get comments regarding this job.